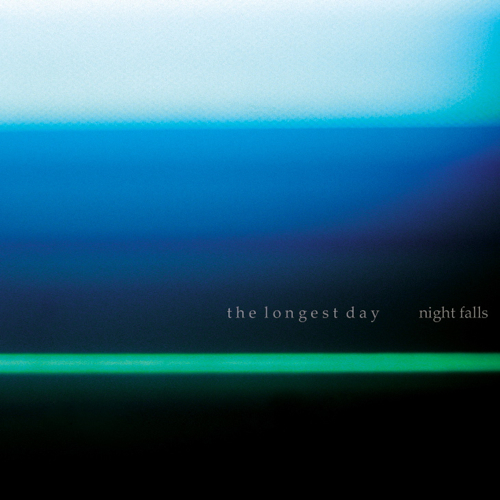 The Longest Day formed under the same inner-western Sydney roof in 1997, initially inspired by the noisy lo-fi creations of Flying Saucer Attack, and influenced by the dreamy wall of guitars produced by bands like Ride and My Bloody Valentine. Songs were written and played for a select few, but Jay and Brad never recorded their output. The move to Canberra by Jay in 2002, and separate forays into electronica by both members, seemed to indicate a natural death of the band. An idea floated in a drunken conversation in 2005 was followed through, and Jay and Brad spent a week recording and mixing a collection of songs resurrected from the band’s past, utilising the original 4 track tapes used at the time to record drums and loops for live performances. The result was 2005’s Slumber, an album awash with guitar and reverb and sweet noise. The album was distributed gratis to anyone who showed an interest in hearing it. In the winter of 2006, Brad travelled to Canberra for the band’s next project – Sounds of Jupiter. Jupiter illustrated the band’s progression in sound from that represented by Slumber (which of course represented a sound derived 8 years earlier), and is characterised by a more atmospheric and measured sound, achieved through expanded instrumentation and again through their love of reverb. In early 2007, the band hooked up with Sydney label Feral Media, who arranged for the distribution of the remaining copies of both previous albums. The relationship strengthened as the year progressed, the band playing in their October POWWOW showcase to a strong reception. Jay and Brad again came together in September 2007 in Canberra to begin writing their next album. A collection of songs were written in collaboration with Boston (USA) artist/musician Christy Romanick, whose sublime, ethereal guitar drones underpin several tracks. Jay and Brad spent the rest of the year writing and refining songs, and came together in Sydney to record their third album – Night Falls, in January of 2008.